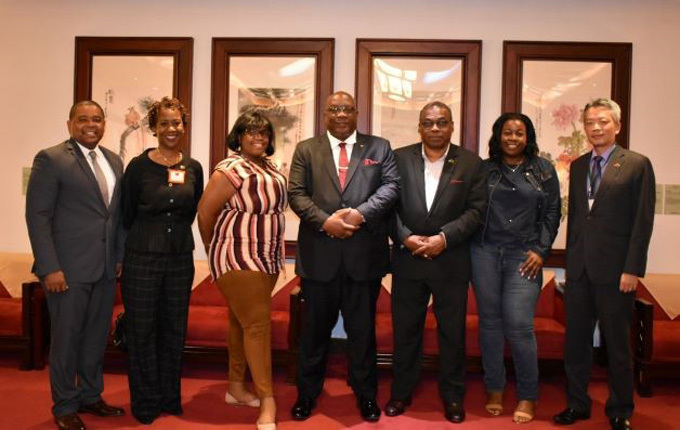 St. Kitts-Nevis delegation warmly greeted at Taiwan Taoyuan International Airport. 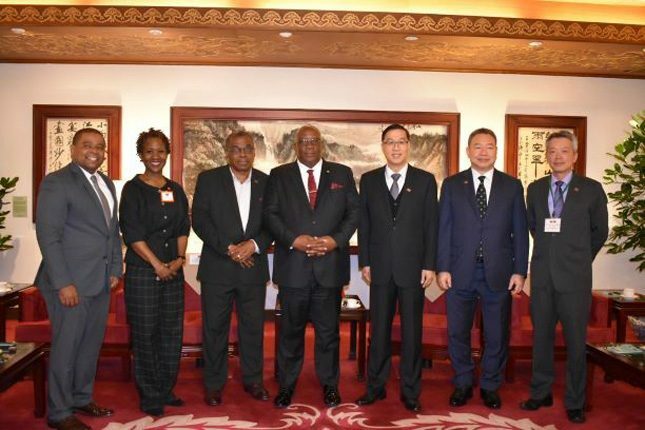 Captioned (L-R): Permanent Secretary in the Office of the Prime Minister, Mr. Andrew Skerritt; Resident Ambassador of St. Kitts and Nevis to the Republic of China (Taiwan), Her Excellency Jasmine Huggins; Minister the Honourable Ian Patches Liburd; Prime Minister Dr. the Hon. Timothy Harris; Taiwan's Vice Minister of Foreign Affairs, Mr. Miguel Li-jey Tsao and Director-General, Department of Latin American and Caribbean Affairs, Mr. Alexander Tah-Ray Yui. inet colleague, the Honourable Ian Patches Liburd; Resident Ambassador of the Republic of China (Taiwan) to St. Kitts and Nevis, His Excellency Tom Lee; Permanent Secretary in the Office of the Prime Minister, Mr. Andrew Skerritt; Human Resource Manager, Ms. Coretta Harris; Ms. Lavern Harris, daughter of the prime minister, and Press Assistant in the Prime Minister’s Office, Mr. Kilony Johnson. While here, Prime Minister Harris will be honoured by a 19-gun Military Salute from Taiwan’s full Guard of Honour. A contingent of Taiwan’s National Guard visited St. Kitts and Nevis in September, 2018 where it delighted all with a splendid display of as part of the Federation’s 35th Independence Anniversary Parade.